Remember these? 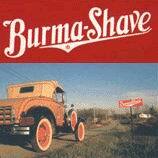 All you classmate remember the Burma Shave signs going out Grand Rapids. Come on think back in time, when we all drove the old 2 lane roads, Burma Shave signs would be posted all over the countryside on the side of the road. They were small red signs with white letters. Five signs, about 100 feet apart, each containing 1 line of a 4 line couplet......and the obligatory 5th sign advertising the popular shaving cream, Burma Shave. A peach by his side. We hope these bring back memories?? Click into "Share your Comments" and let us know what your memories are. 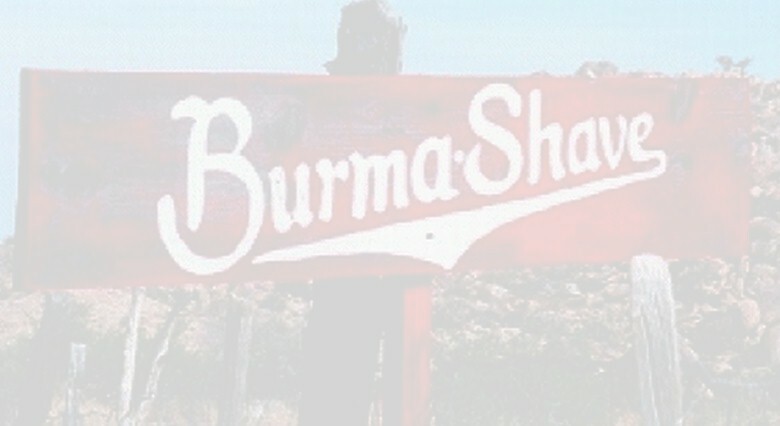 I can remember my Dad taking us for Sunday afternoon drives and we always looked for the Burma Shave signs....and we had to read them out loud!